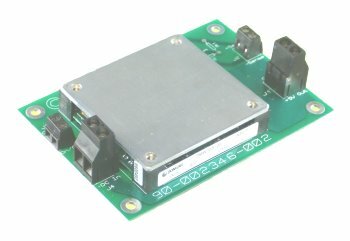 175Watt DC/DC 24VDC to 5V 35A isolated converter modules in stock, half-brick configuration at 1/2 price. SV28-5-175-1 DC to DC 175 watt converter with a wide input voltage range, 20VDC-36VDC. This makes it useful for supplying 5 volts at up to 35 amps in 24VDC and 28VDC systems. This is an amazing piece of technology, 175 watts in a 2 inch square. 5V Isolated DC converter brick module. *Connect to Pin 1 to turn on. To use the remote sense, connect the "Sense +" and "Sense -" pins to wires that go to the load and don't carry any current. This lets the DC converter stabilize the voltage at the load, compensating for voltage loss in the wires that carry current. 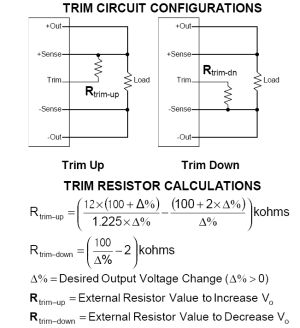 Schematic of how to trim the output voltage. NOTE! these faceplate temperatures are definitely in the "burn your fingers" category and care should be taken to prevent human contact. 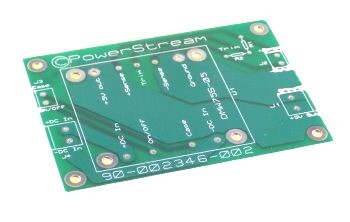 The fully populated board dimensions are 107mm x 76mm x 23mm (4.2 x 3.0 x .9 inches). It includes connectors for Vin and Vout as well as inhibit and Sense terminals. 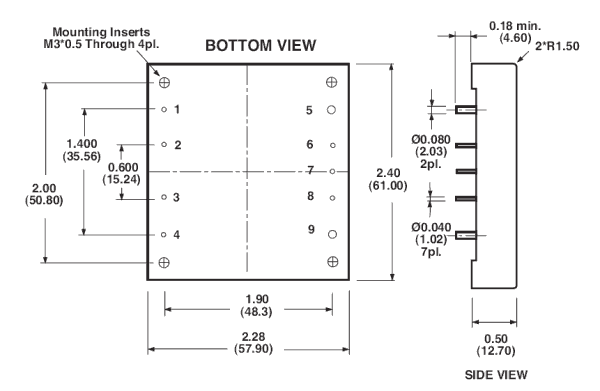 The board mounting holes are 3.6 mm (0.143 inch) in diameter 64mm x 95mm center to center spacing.